This week was chalk full of mentionable characters!! Fans came from near and far with various talents, labels, and histories! 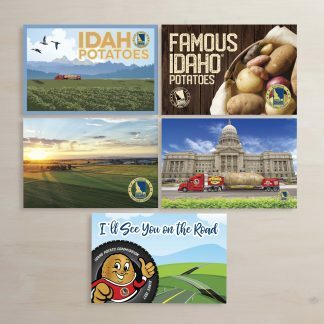 It’s safe to say that the Famous Idaho Potato Tour wouldn’t be what it is if it weren’t for the people they meet along the way! Monday afternoon the team was still living large in the alluring streets of Las Vegas. While soaking up all the public attention at Smiths, the group got a special visit from an IPC vet! 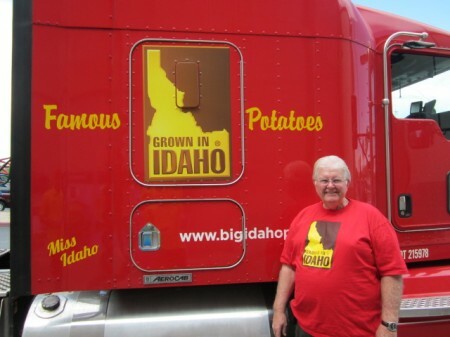 Recently retired, Larry Whiteside, stopped by wearing a shirt with a striking resemblance to the truck! It was fantastic meeting the seasoned potato expert and he gladly spent the rest of the event educating the team on the world of spuds. 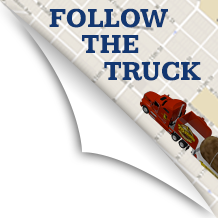 The trio trucked to Provo, Utah, the next day, inching ever closer to a place called home. The people of Provo were so warm and welcoming Wednesday afternoon that the team had to remind themselves they weren’t in Idaho (just yet). That night proved to be even more eventful when Kaiti and Ellis met up with some high school buddies to swapped chivalrous stories over BBQ and milkshakes! Everyone filling up on potato pins! 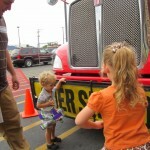 The city of Logan was over-joyed to host the potato truck event Thursday afternoon at a bustling Walmart. The fans got to get there hands on the famed spud prize wheel and take home a little bit of Idaho. 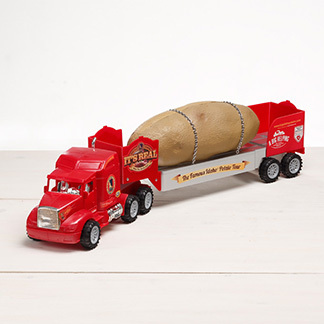 At the events, many people ask the team, “How long would it take to peel a potato that big? !” Well folks, they met someone that just might know the answer to that! 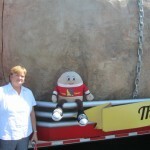 Marilyn Small is in the Guinness Book of World Records for peeling the highest amount of potatoes in record time! The tater team got a visit from Marilyn, and she filled them in on all the glorious details! It was Shelley Spud Day in Idaho and Marilyn, along with four other elementary school cooks, decided to all assemble and get peeling! 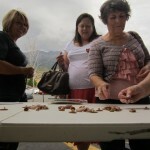 They peeled 1,064.6 LBS of spuds in forty five minutes! Now they are what you call Idahoans! 😉 Think they’d be up for the challenge of the mammoth spud? 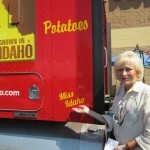 Just when you thought our celebrity visits were over, a former Miss Idaho paid a visit to the tater! As the team got to know the lovely lady, there was no doubt in their minds that her Miss Idaho title was well earned! Don't let her too close to Spuddy..she might start peeling!!! Everyone take a bow for Miss Idaho!! On the road again and headed for home!! The team was ecstatic when they hit the road one last time before winding up back in Boise for the weekend!! Having five months away from friends and family, the reuniting was eagerly anticipated! The group went their separate ways (only for a couple days) and spent the weekend filling their families in on all the humorous tales of their expedition! While taking a little breather, the team is gearing up for a big week in Sun Valley. 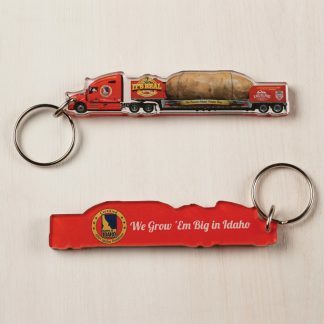 The Tater Team will be attending the Idaho Potato Commission Conference and filling the commission in on all the tour’s ups and downs! Though it’s a short trip, the team can all agree it’s good to be home!